Home of the South Haven "Purple Pride" Bands of South Haven, Michigan. Keep up with the Purple Pride Bands on social media! Mr. Bopp is in his twelfth year of teaching and his tenth in the South Haven Public Schools. His duties include High School Jazz Ensemble, High School Marching Band, High School Concert Band, and High School Pep Band. 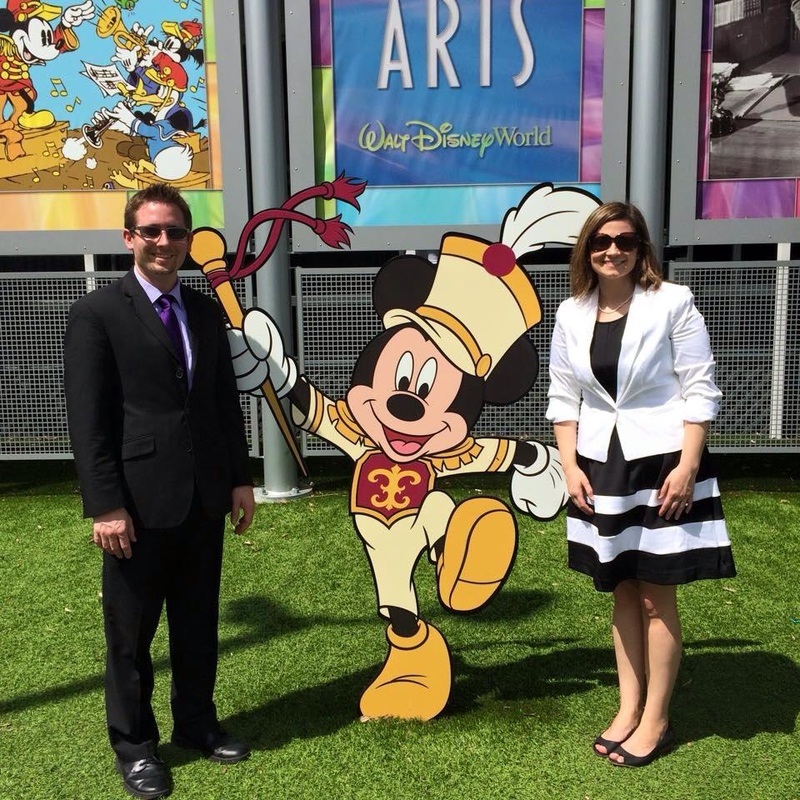 He also co-directs the Fifth Grade Beginning Band and assists with the Sixth through Eighth Grade Middle School Bands. Mr. Bopp received his Bachelors of Music Education (BME) from Grand Valley State University in 2007 and his Master of Music from the American Band College (ABC) at Sam Houston State University in 2010. Mr. Bopp has worked on staff with the South Lake, Kenowa Hills, Hudsonville, Hastings, Brandywine, and the Jenison High School Marching Bands. In addition, he served for two years as Director of the Children’s Christmas Program at Messiah Lutheran Church. In 2004 and 2005, Mr. Bopp toured with the Boston Crusaders Drum and Bugle Corps on trumpet and placed 9th in the World Championship Finals both years. Before arriving at South Haven, Mr. Bopp taught in the Bloomingdale Public Schools. There he taught sixth through twelfth grade band, choir, computers and other elective courses. In addition he served as Auditorium Manager, Technology Assistant, and Technical Director for all major productions. Mr. Bopp is a member of the Michigan School Band and Orchestra Association where he has served as District VI treasurer, technology chair, All-State chair, and currently serves as Vice-President of Jazz Activities. Mr. Bopp enjoys golfing, traveling, and spending time with his wife, Sarah, and daughter, Lily. Mr. Bopp is the recipient of the 2015 Hometown Hero Award presented by Modern Woodmen of America. Mrs. Bopp in her fourteenth year teaching, her seventh in the South Haven Public Schools. Her duties include Sixth Grade Band, Seventh Grade Band, and Eighth Grade Band. She also co-directs the Fifth Grade Beginning Band and assists with the High School Bands. Mrs. Bopp earned her Bachelor of Music Education degree from Central Michigan University in 2005 and her Master of Music degree at the American Band College of Sam Houston State University in 2010. She has worked on staff with the South Haven, Triton, Jenison, Hastings, Fulton, and Sparta High School Marching Bands and the Herter Summer Music Camp. Before joining the music department in South Haven, Mrs. Bopp was the Director of Bands at Brandywine Community Schools in Niles from 2007-2012, Thunder Bay Junior High School from 2006-2007, and elementary general music, choir, and band teacher at Timberland Charter Academy in Muskegon from 2005-2006. She is a member of the Michigan School Band and Orchestra Association and has served as Vice-President of Solo and Ensemble Festival and chair of medals. Mrs. Bopp is in her fourth year as the coordinator for the Southwest Michigan Middle School Honors Band at Andrews University in Berrien Springs. In her spare time, she enjoys snuggling with her daughter, Lily, as well as reading and relaxing with her two cats, Mike and Elsa, and her husband, Jeff.